A friend was telling me she was going to create some zentangles that evening. Never heard of it. You should look it up on the internet, she said. It's really fun. And I did ! A new world opened for me and I could LOOK again to the world ! A Zentangle... One stroke at a time... No knowledge required... I decided to go for it. And after a few trials, this was my first zentangle made in april 2014, based on the video of the auraknot of Maria Thomas and Rick Roberts. I decided to take an artist name, Alei.ke or simply Alei to sign my work. 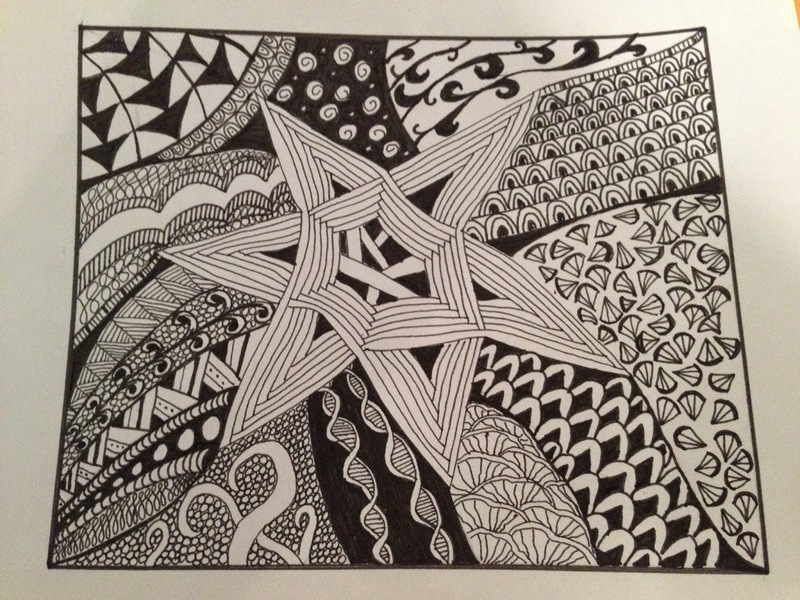 And only today I decided to create a blog to share my zentangles and inspiration. Look to it regulary and ... enjoy it !